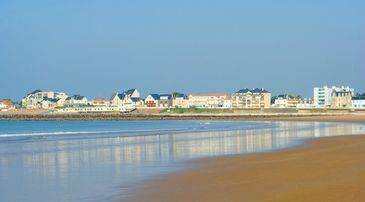 The resort Le Verdon sur Mer is situated 100 km from Bordeaux at the 'Pointe de Grave' where the water of the ocean and that of the Gironde estuary meet. There are two beautiful beaches, three lighthouses and four ports. Thanks to its vast beaches of white sand stretching 40km along the Atlantic coastline it is a paradise for all water sports lovers (surfing, body boarding, sand sailing, water skiing, swimming etc). 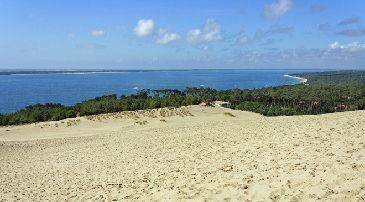 Nestled in the heart of magnificent forests and dunes, with plenty of cycle and hiking paths, this is a superb place to relax, stroll or partake in sporting activities. In this natural and peaceful seaside setting Madame Vacances invites you to spend your summer holidays in our residence Le Verdon sur Mer in its traditional twinned cottages sleeping 4 to 6 people.